Hey, I'm Nube, I started Danbury House Cleaning Service in the last year, because trusting people to "just" clean your home is hard. I'd always listen to my girlfriend's making comments like "I can never find a good house cleaner" or "Do you know a good cleaning lady" and I thought to myself... aren't there dozens of cleaning services in Danbury Connecticut already? That's EXACTLY why I started Danbury House Cleaning Service! We're the cleaning service you can trust. We do a thorough phone call to make sure that we're both on the same page. I want you to feel 100% comfortable with our cleaning staff. Ready to get a free quote? Give us a call today at (203) 487-5944. Spend Less Time Cleaning Your Home and More Time Enjoying It! Cleaning your home can be one of the most dreaded tasks on anyone's weekly do to list. When you decide to hop on google and search for "Danbury Cleaning Service" you've started a process that will free up precious time to spend with family and friends. Many residents of the City of Danbury depend on our team for their house cleaning needs. 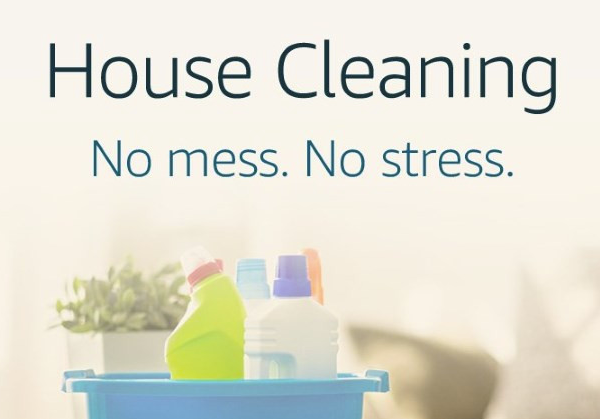 We're based out of Connecticut, and our House Cleaning Services in Danbury have been tailored to provide exactly what your home requires. We set ourselves apart from many of the other local cleaning services in Fairfield County. Danbury, CT homeowners know that they are receiving a customized, worry free service. You can ask for special cleaning services, change your schedule or have us skip certain rooms. Our primary concern is always providing the highest level of customer service and we are willing to go the extra mile to achieve that. We offer profesional cleaning service in Danbury, CT and surrounding towns like New Fairfield, Bethel, and Brookfield. Our cleaning staff works weekends, early mornings, and late nights to make sure your house is as clean as you need it to be. Clean appliances, counters, cabinets, tables and chairs. Clean and scrub sinks. Clean countertops and backsplashes. Clean stove and refrigerator top and exterior. Clean microwave oven inside and out. Wash floors. Oven deep cleaning, refrigerator deep cleaning, window washing including inside, outside, encasements and sills, packing & unpacking from moves, wall washing including baseboards, cabinet cleaning, furniture treatment- including spot removal, post-construction cleanup for new homes or renovations. We know that there is no feeling like coming home from a busy day at work to a clean home that smells fresh! And to imagine, when you work with our Danbury cleaning service, you won’t have to lift a finger, plug in a vacuum or dust an inch! ​We also offer seasonal cleaning services In addition to our scheduled house cleaning. Danbury, CT and surrounding towns are included in the service area for these types of cleaning which include spring cleaning, deep fall cleaning and cleaning for holiday parties and gatherings. We love spring! Everything in the great outdoors is blooming, but unfortunately it is also the start of allergy season. Spring is the best time of year for a deep cleaning of your home including dusting from our cleaning service. Danbury, CT homeowners take note! We’ll help you celebrate the new season by sorting your closets, basement and junk drawers, helping you remove items you no longer use, and performing a deep clean on your house so you’re ready to jump into summer without clutter. Spring isn’t the only time of year that your home needs a deep clean, though! Before you get ready to prepare for the winter give our Danbury, CT cleaning service a call and book an appointment to rid your home of any dirt, dust and grime that may be hanging around from the summer season.